Polymer Conversions used to have a long, mandatory shutdown during the summer and at the end of every calendar year so that we could perform extensive preventative maintenance procedures on our equipment and facility. In an effort to better serve our customers, we’ve changed that to specific days throughout the year so there were fewer interruptions to customer production and deliveries. Monday, Feb. 20th – Misc. Monday, Oct. 9th – Misc. If you have ever enjoyed the scent of a rose, you’ve experienced the aromatic qualities of essential oils. These naturally occurring, volatile aromatic compounds are found in the seeds, bark, stems, roots, flowers, and other parts of plants. Essential oils protect plants and play a role in plant pollination. The physical and chemical properties of the volatile aromatic compounds that compose essential oils allow them to quickly move through the air and directly interact with the olfactory sensors in the nose. Such unique properties make essential oils ideal for applications inclusion in aromatherapy – using these compounds from plants to help maintain a healthy mind and body – as well as other applications. Essential oils can be used for a wide range of emotional and physical wellness applications. 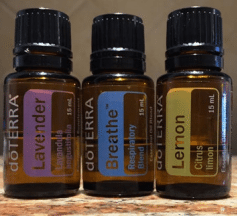 They can be used as single essential oils or in complex essential oil blends depending on user experience and desired benefit.” (Info from: https://doterra.com/US/en/whatis-an-essential-oil) doTERRA, “meaning Gift of the Earth”, has 100% pure, therapeutic essential oils that are made in high quality factories from plants specifically cultivated in prime growing regions all over the globe. Their company not only makes one of the best lines of oils & natural health products, but also gives back to the communities that are contracted to help them. to be lessened, people seem more creative and energetic, and I no longer hear staff coughing or blowing their noses. (Click here for a great video testimonial from a hospital). I regret that I didn’t poll people prior to using them at work – I really believe we would have demonstrated similar results. The best part – there are NO TOXINS in their products and there are tons of therapeutic benefits from inhaling the different oils and using their natural products on the skin. We still have some products to try, and the long Buffalo winter sure will be the best test of cold & flu season and the cabin fever that often comes by the end of February. If we experience additional benefits we may even decide to add diffusers in other non-production areas of the plant to see if others can benefit as well. Wow, what a crazy year 2016 turned out to be! Terrorist attacks, life-threatening weather events, “goings-on” in North Korea/Russia/China, the Zika virus, the loss of many police officers’ lives, an influx of immigrants, the Iran nuclear deal, and of course who would forget to mention that once in a lifetime Presidential election cycle? While the news/media generally focuses on sensationalism, let us not forget about those that never made the headlines: those working hard to save lives in devastated areas around the world and in our own country, those who volunteer giving a helping hand to others in desperate need, those that give everything they’ve got to create the next generation of technology to save and make lives better, and last but not least those that give their lives to protect our freedoms & liberty. As we reflect on the closing of 2016, the Polymer Team is incredibly thankful for all of the continued relationships we’ve been blessed to keep, all of the wonderful new partnerships that have just begun, and look forward to working hard for new opportunities to come to fruition in the near future. We’d like to take this time to say “Thank You” for trusting our team to provide the critical-to-life components, assemblies, devices and services that help make a difference in the world. Peoples’ lives depend on us to do things right the first time, and to continually build worldclass quality into every process and service we provide. As we continue to provide exceptional levels of quality & service to our customers, we hope that you will continue to walk side-by-side with us on our journey. It is only by lifting each other up through challenge, that we together may enjoy the spoils of victory. 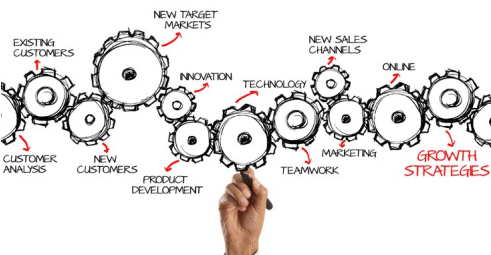 A new year often brings new challenges, new victories, new technology, new growth, new customers, and new employees. Sounds daunting, but Polymer Conversions & SILIKON Technologies are ready for the tasks at hand. We have room to grow, room to improve and room to create. We will continue looking into new processes and services as we investigate ways to better serve our customers. We will also continue working with and perfecting the rapid 3D Printed Tooling cavities for our customers’ prototyping needs, and have also started working with Metal Laser Sintering in tooling. Eyes on Growth: Polymer is making a big push to increase business by filling some current open press time and by adding several new customers. If you’re still deciding whether to throw a project our way, please consider that 2017 will be incredibly busy for us, so those that secure due dates and available press time with solid purchase orders will get first priorities from our team. As always, we’ll do our best to be as flexible as possible with any additional projects. Timing is of the essence, so if you’re looking to beat your competitor(s) to market, get us involved as early in the process as possible! Want to know more about 2017’s activities? You’ll just have to stay tuned to find out! Remember to follow both Polymer’s & SILIKON’s LinkedIn company pages for the flurry of activity coming in 2017. We are happy to announce that SILIKON is now ISO13485 compliant and will have our official certification in early 2017 from the NSF registrar. We’ll have a strong start to 2017 with new business secured from current medical device customers, and will continue to pursue new opportunities to keep the pipeline full and help SILIKON slowly grow. Don’t forget to follow SILIKON’s LinkedIn company page…. There will be lots of activity to post in 2017!